Varicose veins in legs mostly are just unsightly and nothing more. And secondly because of my interest in honey. More specifically raw honey ... there's a big difference between raw honey, and what you buy in the supermarket. Yes, there are natural cures for varicose veins, and in particularly varicose ulcers. In short, if you have lower back AND leg pain then don't assume the pain and tingling in your leg comes from the varicose veins in legs. This page was last updated by Dr Barrie Lewis on 17th January, 2019. In the legs there are valves in the veins so that, when the action of the muscles in the legs squeezes them, the venous blood (low in oxygen) is squeezed upwards towards the heart. If these valves fail, the blood sinks back down and pools in the lower legs, increasing the pressure in the veins. Normally there is a pressure gradient between the veins and arteries. Arteries must have higher pressure, veins lower, for the normal pumping of blood through the vascular system. 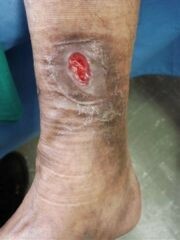 If this gradient decreases significantly then you are at risk of getting varicose veins ulcers. 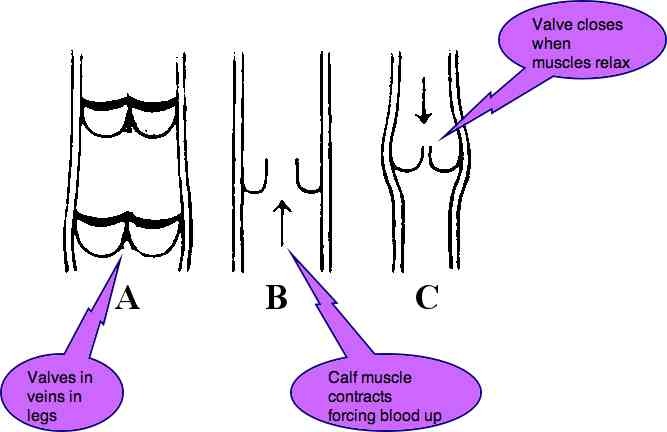 This is complex medical science that I won't bore you with, but to gain relief from varicose ulcers you do need some understanding of what is happening. When the varicose veins in legs become serious due to the rising venous pressure, various substance leak out of the blood vessels into the tissues of the lower limbs, in particular, though you can get varicose veins elsewhere; haemorrhoids, for example. This prevents oxygen and nutrients from reaching the muscles in the lower leg and said parts begins to die, releasing free radicals and other inflammatory factors into the tissues, further inflaming the layers under the skin. In the same way that hyaline cartilage in your joints requires nutrients and oxygen, so does skin, the largest organ in the body. In the joints it is spinal fixations (subluxations) that causes hypoxia. The result is Immobilisation Arthritis. In the legs the cause of the hypoxia is an increase in venous pressure and the result is very painful varicose veins ulcers. They occur mainly on the inner lower limb. Varicose veins in legs are unsightly but what are the risk factors of developing an ulcer? That's a lot more serious. What is very difficult is that, after a period of oxygen and nutrient starvation (called ischemia in medical terms), the restoration of blood circulation in itself causes inflammation in the tissues, further aggravating an already bad situation. Free radicals are released... bad news. That's one of the major problems associated with brain injury too after heart failure, stroke and even after loss of blood flow to the brain during an anaesthetic. The tissues don't like repeated bouts of ischemia (low oxygen) followed by re-perfusion. And that's exactly what happens in bad varicose veins. Home remedies for varicose veins ulcers; raising the legs. You're damned if you do, and if you don't. Raising the legs allows the venous pressure in the lower legs to drop, and the arterial blood starts flowing again. 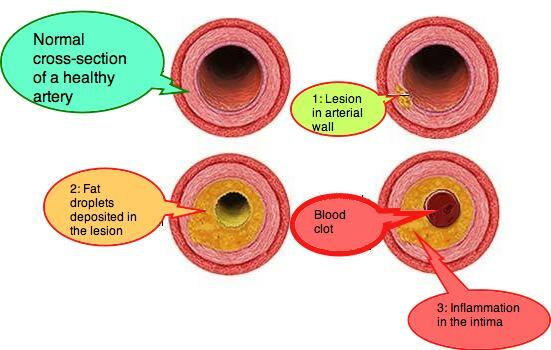 Re-perfusion, in medical terms, but further injury occurs as the inflammatory substances are released into the tissues just below the skin, causing break down of the skin: varicose ulcers. What you really need to avoid is repeated ischemia followed by re-perfusion. Don't stand in one place, as in washing the dishes, for long periods. Walk on the spot, contracting and relaxing the calf muscles repeatedly. The standard medical treatment is compression. Compression bandages prevent the reflux of venous blood back into the lower legs keeping the arterial pressure higher than the blood pressure in the veins. Research reported in J Vascular Surgery (2009) compared two groups of patients with varicose veins, the one with ulceration, the other not. Bites from snakes or spiders for example. Whilst not part of this research, it's generally acknowledged that prolonged standing further increases the pooling of blood in the lower legs. Walking benefits abound on the other hand. 1. Prevention is the best cure. It's easy to say, but stop smoking NOW, and... start these home remedies for varicose veins ulcers sooner rather than later. VARICOSE VEINS AND HERBS - an incredible natural solution to varicose veins ulcers. The main ingredient... yes, honey. Stop smoking permanently has been an astonishingly successful programme. Add at least ten years to life, ten GOOD YEARS. 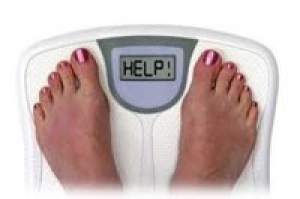 ... then confirmed research is that the easiest and safest way to lose weight to is cut the carbs in your diet. Fruit excepted, but perhaps enjoy less sweet fruit. The phytosterols in fruit are so beneficial in the fight against cancer and many other chronic disease that you dare not cut back on fruit. 3. Ankle Joint pain is a central issue in many chiropractic practices, but not all. If you have ankle pain and foot pain issues, together with varicose veins in legs then be assured: they are connected. 4. Rehabilitating that calf muscle injury is really not rocket science. 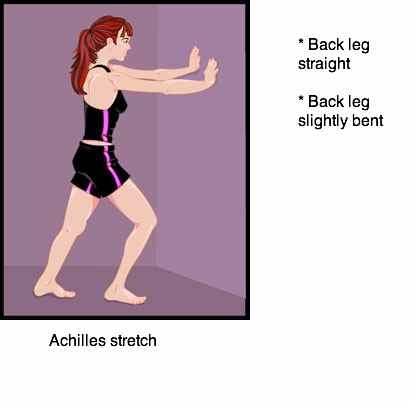 It simply involves stretching and exercising your calf. Heard of walking benefits ...? That would include restoring the muscle pump power in your lower leg. Why this page on varicose veins in legs on a chiropractic help website, you may be thinking. The reason is fairly simple. Many women, in particular, associate the pain in their legs to the unsightly varicose veins, when in fact the cause lies elsewhere. Either it's really lower back and leg pain or very occasionally intermittent claudication, a blockage on the arterial side of the circulation, a condition that primarily smokers get. Recently I had a patient with an aching leg. On closer examination I discovered a lump in the popliteal fossa behind the knee. Was it a Baker's cyst, or a clot? 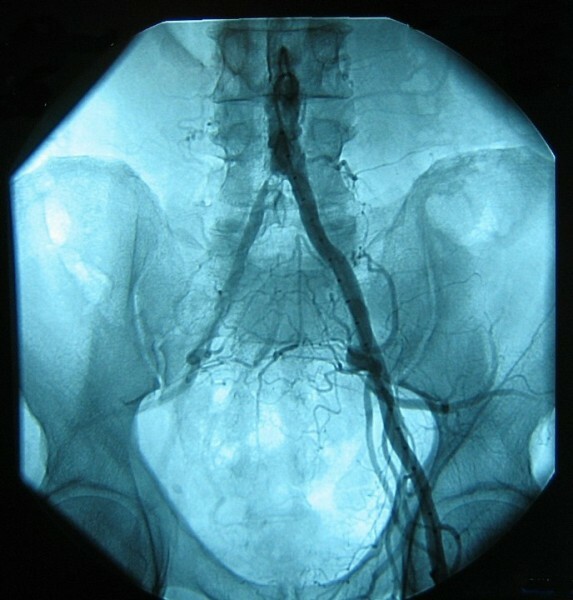 Eight years previously he had been bitten by a black mamber; an ultrasound scan soon revealed it was a deep vein thrombosis, not something for a chiropractor to mess with. Of course, old fracture of sprain causing ankle joint pain also frequently radiates into the calf muscles, or into the ball of the foot. In fact there are many causes of leg pain, and one should not fall into the trap of assuming that unsightly varicose veins in legs are the cause of the pain. Shin splints ... and many other chiropractic help conditions. Intermittent claudication .... a fun story, enjoy. This man had thigh pain when cycling, and calf pain when walking. The pain ceased the moment he stopped exercising. I wonder why...? Whilst I know of no research, and Pubmed likewise brings up no results, omega-3 oils are very powerful natural anti inflammatories. So powerful that, if left on old rags, it's been known to spontaneously burst into flames as the fatty acids are themselves oxidised. 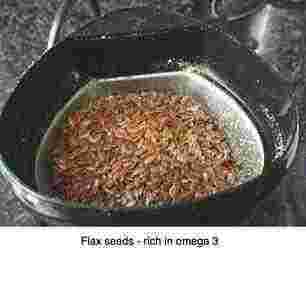 I suggest there is a strong possibility that fish oil, freshly ground flax seed and freshly cracked nuts such as walnuts and pecans might contribute greatly. Healthy stuff to enjoy in any case. There's a knack to shelling pecans. You can easily crack three nuts in one minute with a little practice, enough to go on your cereal. Remember the keyword is "freshly shelled, freshly ground, freshly caught." Omega-3 goes rancid very rapidly once exposed to air. Varicose veins in legs is really just a variant of atherosclerosis, a disease of the blood vessels. A killer, it shortens life by decades. Since it's irreversible, prevention is the key. Adding certain foodstuffs to the diet is the solution: understand pathophysiology of atherosclerosis aka arteriosclerosis is important; it's not rocket science, and this page written for the layperson, despite the jawbreaking title. Sudden death. Prevent it! Leave a longer stub, Take fewer puffs, And change to a lower tar brand. Chronic heart disease, Leave a longer stub, Take fewer puffs, And change to a lower tar brand. Inhale less, Chronic heart disease, Leave a longer stub, Take fewer puffs, And change to a lower tar brand. On the 7th day of warning, the government sang to me: Tarry tarry lungs, furry furry tongues, Nasty yellow fingers, Everywhere I go, ashtrays overflow, A cancer victim lingers, In appalling vein. Up go the taxes, Inhale less, Chronic heart disease, Leave a longer stub, Take fewer puffs, And change to a lower tar brand. Horrid foetid breath, In appalling vein, Up go the taxes, Inhale less, Chronic heart disease, Leave a longer stub, Take fewer puffs, And change to a lower tar brand. Nice girls don’t like it, Horrid foetid breath, In appalling vein, Up go the taxes, Inhale less, Chronic heart disease, Leave a longer stub, Take fewer puffs, And change to a lower tar brand. Higher taxes yet, Nice girls don’t like it, Horrid foetid breath, In appalling vein, Up go the taxes, Inhale less, Chronic heart disease, Leave a longer stub, Take fewer puffs, And change to a lower tar brand. 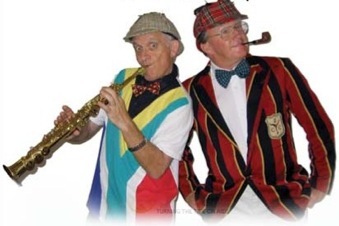 With thanks to Dr Robert Caldwell, eminent physician specialist, commedian and performer, and Jeff Judge, musician.